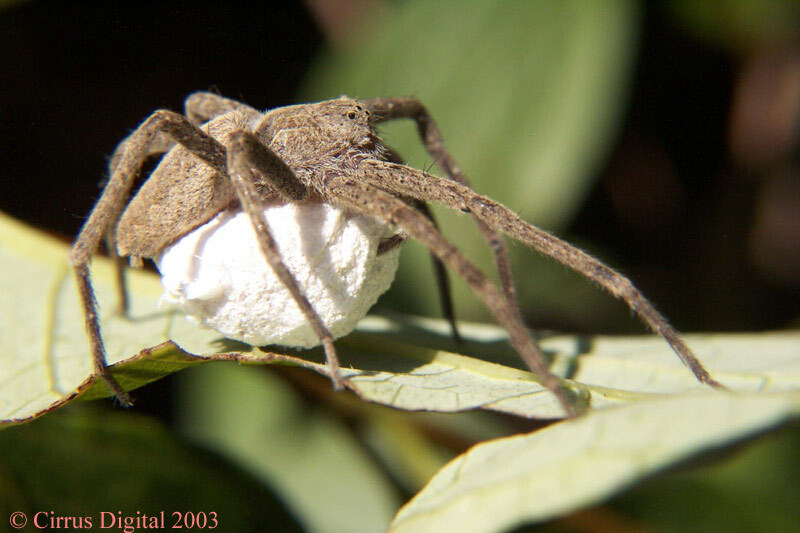 Nursery Web Spider with egg sac- Pisaurina sp. 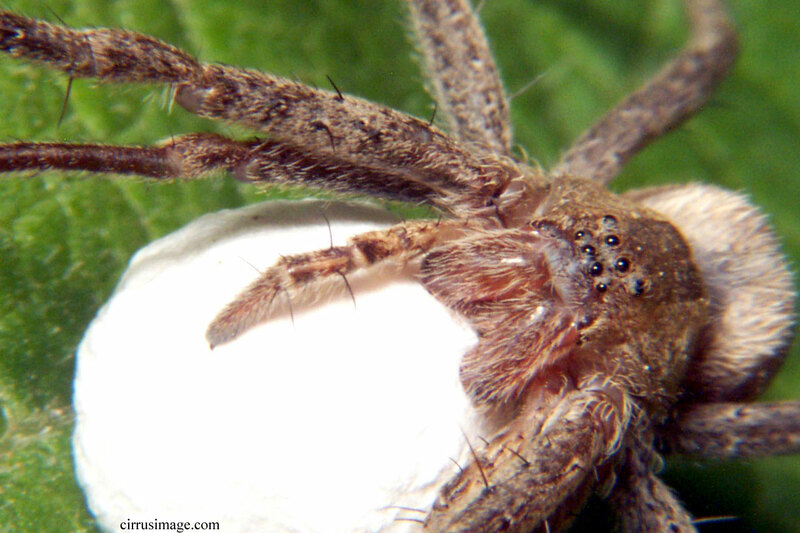 Nursery Web Spider – Pisaurina sp. 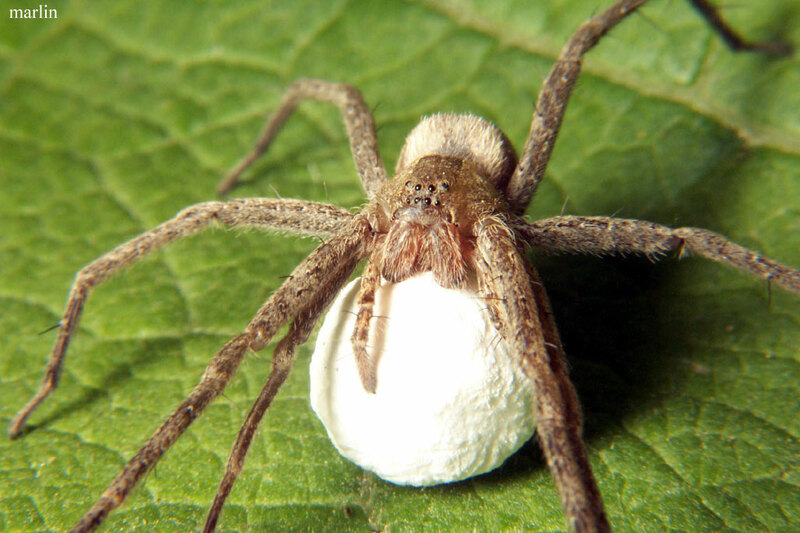 The nursery web spider carries her egg-sac, or coccoon, under her body until near hatching. She then spins a protective web in which her hatchlings live until their first moult.